Chicago is one of my favorite American cities; even when winter is coming. Nicknamed the ‘Windy City’ for a reason, Chicago can dish out some pretty frosty weather, making even the local pigeons gather around fires just to keep warm. The famous Chicago River turns to ice. 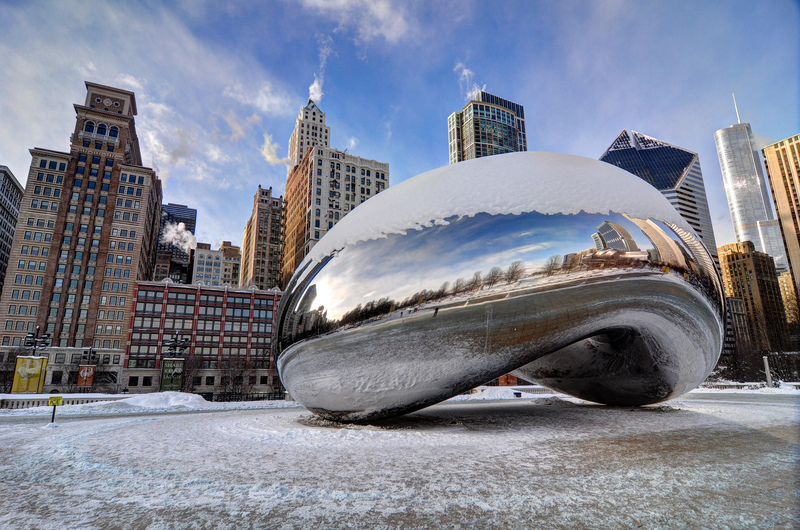 And the beloved Chicago Bean gets completely snow-capped.